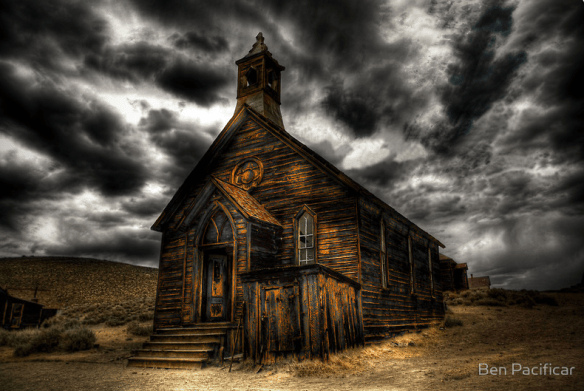 Dry incense, woody leather and this mysterious churchy touch. For all incense lovers, featuring leather, musky woods, amber gris, and a natural Boswellia serrata frankincense extract. As a side note, in case you’re curious, Boswellia serrata is generally the Indian variety of olibanum, not the Somali sort which is called Boswellia carteri or sacra and is the type which the Vatican reportedly buys en masse for its ceremonies. Incense Flash opens on my skin with woody incense that is layered with the deliciously nutty overtones of sweet myrrh, then cradled in a musky haze of golden warmth from a caramel-nuanced ambergris. 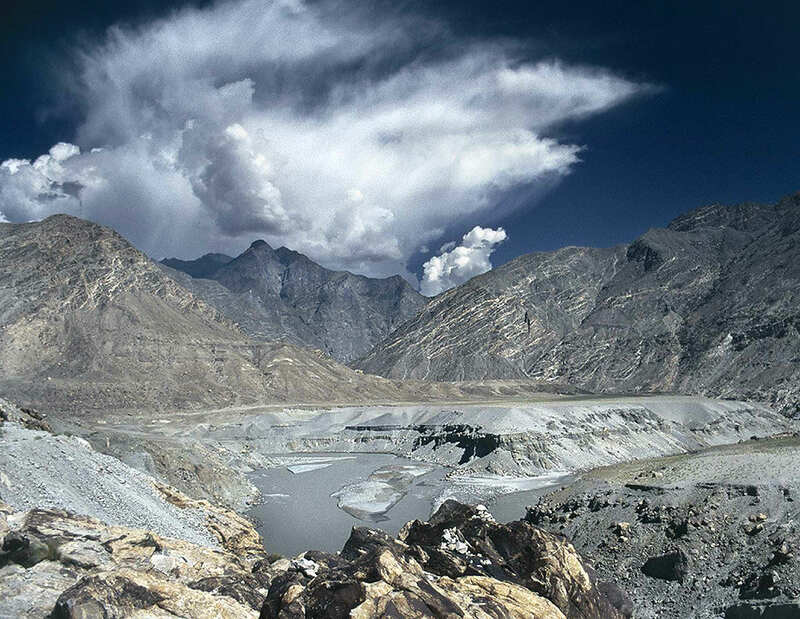 The whole thing is lightly sprinkled with a fine veil of abstract spiciness, then placed on a base that I can only describe as a mix between a rocky, high-altitude, dusty desert and something mountainous. It’s a dryness that is filled with aromatic pine needles and coniferous, resinous trees, but there is also a quiet streak of earthiness that is more like baked earth, the sort of scent you might find in adobe huts in America’s Southwestern desert. All these elements quickly blanket the incense which is extremely woody, slightly resinous, and quietly dusty. It is never truly liturgical, spiritual incense with its musty, fusty, or soapy aromas. Rather than visions of High Mass in a Catholic church, the overwhelming image I have is the story that I described at the start of this review. It makes Incense Flash feel, in a nutshell, as though it merged the olfactory essence of Santa Fe and the Hindu Kush, while also giving a nod to the Moroccan desert of L’Air du Desert Marocain (“LDDM”). 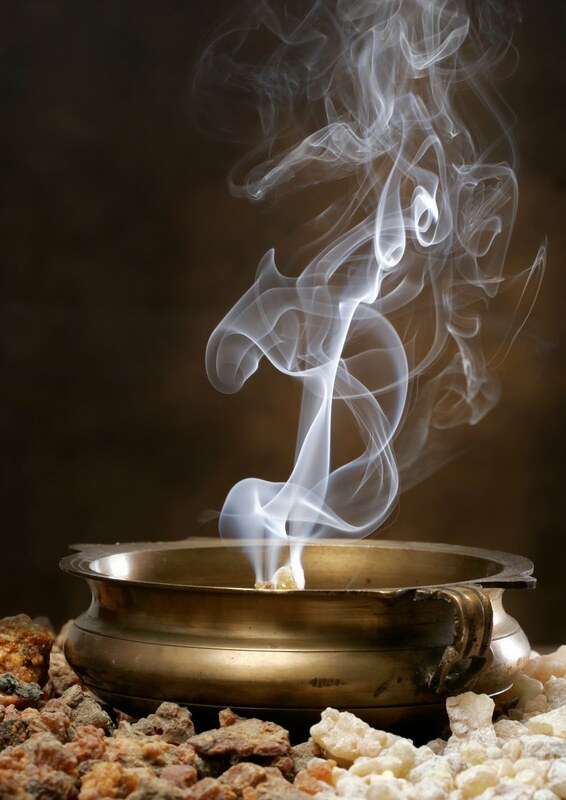 To be clear, Incense Flash is nowhere as spicy on my skin as the latter, but LDDM feels like a strong connective tissue through the sandy, dusty desert at Incense Flash’ feet. What I really love about Incense Flash’s opening is the perfectly balanced and very naturalistic sweetness. Sweet myrrh (opoponax) has strong undertones of toasted nuts and subtler ones of honey and beeswax, while ambergris has musky, marshy caramel nuances. Both serve here to counterbalance the smoky, dry darkness of the signature Tauerade accords in the base, not to mention the whiffs of an arid, woody aroma-chemical that is woven into the sticky, balsamic resins. In fact, Incense Flash wafts significantly more campfire (cade) smoke on my skin than incense. I have to admit, I prefer it this way. I really struggle with High Church liturgical fragrances, so the spicy, woody, golden, and leathered treatment here is far more appealing. Best of all, it’s not soapy and doesn’t feel as though the dust of ages has been unearthed from some ancient crypt or catacomb. I also really like the strong streak of deciduous pine in Incense Flash. It feels as though fresh pine needles blanket the rocky, sandy ground and have been crushed under your boot to release a coney, green, foresty aroma laced with the sticky sweetness of fresh sap. The latter works so well with the sweet myrrh’s honeyed and nutty facets. The one thing I’m not so keen on are the growing ripples of a smoky, woody aromachemical in the base. It feels raspy, and there is also a sooty tarriness underlying it that makes me wonder if Andy Tauer has returned to the creosote that he seems to use so frequently in his woodier or darker fragrances. 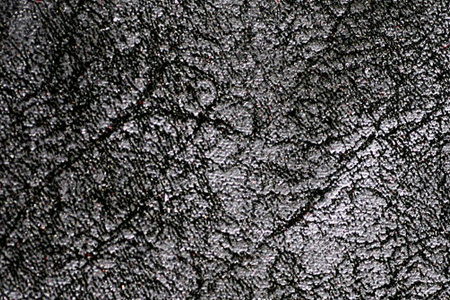 In a nutshell, creosote is a sort of black goo that is derived from coal-tar distillation or from the smoky remnants of burnt wood, like the thick black coating you’d find in the inside of a chimney. 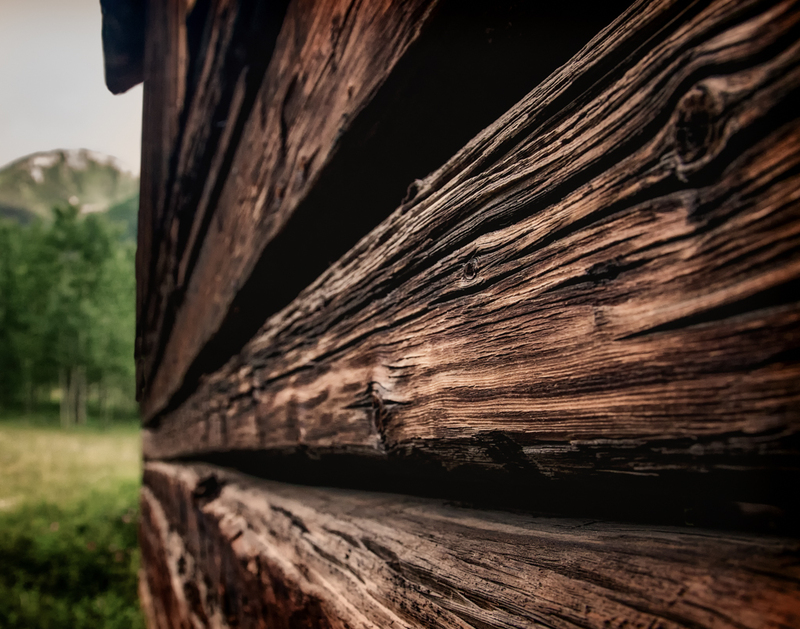 It is used to coat railroad ties, or to preserve wood. Whatever the specific source of the scratchy, arid, tarry sootiness here in Incense Flash, I’m not enthused, particularly when it grows even more pronounced in the drydown. As a whole, Incense Flash is always a very rustic interpretation of “incense” centered on musky, leathery, ambered and campfire smoked woods that are threaded with fluctuating amounts of equally woody, dusty incense and nutty sweet myrrh, then sprinkled lightly with crushed pine needles before being placed atop a dry, earthy, and resinous base. The fragrance doesn’t change substantially from that focus. All that happens is that the various secondary notes wax and wane in prominence, often rearranging themselves in the order of prominence. There are a few points when the changes are greatest or most noticeable. The first occurs roughly 2.5 hours into Incense Flash’s development. The fragrance turns drier as the leather becomes a major player, blasting a tarry, rawhide quality blanketed with cade campfire smoke. The ambergris gives way before its darkness, hiding behind it and also losing most of its caramel undertones. At the same time, both the sap and the subtle spiciness fade away, while the sweet myrrh’s nutty side retreats to the background. The crushed pine needles and the more aromatic facet to the woods weave in and out to varying degrees. Sometimes, it feels as though they are about to vanish but, at other times, they are as noticeable as ever. It’s the same story with the baked adobe earthiness in the base. What’s odd, though, is how Incense Flash always smells differently from afar than it does up close. When I sniff my arm closely, both the leather and the raspy, tarry, very desiccated smoky aromachemical are extremely strong but, from a distance or on the scent trail in the air, the main bouquet is almost entirely a musky, sweet, golden, outdoorsy, singed woodiness layered with softer, merely “rugged” leather and just barely smudged with churchy incense. Near the end of the 4th hour, about 3.5 hours in, Incense Flash’s middle phase begins, and it’s very pretty on my skin. It’s as though the campfires had melted the resins because the sweet myrrh has oozed into a creamy beeswax, while the ambergris surges back in strength, feeling warmer and softer. 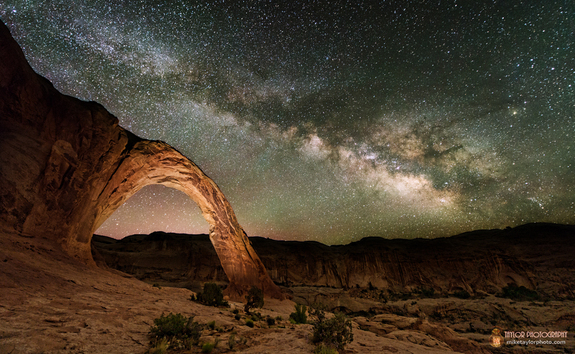 Together, they coat the leather, tempering its tarry, sooty roughness, and also filtering out the desert’s dusty, sandy rocks. Once in a while, there are glimmers of something that really resembles a dark, woody tobacco in the base, even though there is no tobacco listed in the fragrance. Up top, the pine needles fall away, but the mix of church incense and outdoorsy campfire smoke remains. From afar, Incense Flash is primarily a musky, semi-sweet, semi-dry, wood and leather scent that is cocooned in ambered warmth and laced with only the lightest touch of church incense. Up close, the leather dominates the scent much more with its tarry and smoky facets. The resinous darkness, heavily scorched woods, campfire smoke, and creamy beeswax are also more apparent and stronger. So, too, are the tenacious tendrils of tarry, raspy sootiness in the base. However, the scratchy aromachemical is never so excessive or unbalanced as to be a problem unless I apply only the lightest, smallest quantity of fragrance (a few dabs equaling 1 spray or less). I think the warmth and softening effects of the ambergris are partially responsible in keeping the raspy chemical in check, but I’ve also noticed that many of the Tauer creations waft stronger aromachemicals on my skin when I apply small quantities, while larger amounts seem to bring out the ameliorating, softening influences of the richer notes. One thing I really appreciate with Incense Flash is how beautifully it is blended. Each layer flows seamlessly into the next but is still individually distinct and clear when I sniff my arm up close. I think the blending is also responsible for the constant waxing and waning in the notes that occurs from the start almost to Incense Flash’s very end. For example, from the 6th hour onwards, sometimes the scent seems to be woody-amber in focus but, at other times, it’s amber-woody. The actual frankincense lags far behind, taking turns to switch with the leather for 3rd, 4th or even 5th place. It is only in Incense Flash’s last few hours that the titular note finally becomes a major player on my skin. Up to that point, the smoky, charred woods always dominated center stage, though the raw leather joined them for quite a while during the middle stage. But, finally, 10.5 hours in, Incense Flash becomes an equal-parts blend of wood, incense, and amber. The latter is now abstract and is mostly just a simple, hazy warmth. Incense Flash is still slightly musky, but there is no longer any caramel-laced sweetness or distinct ambergris. There is also no sweet myrrh or beeswax creaminess. The pine needles have vanished, while the smoky, woody aromachemical has fully risen to the top, turning the scent extremely dry in nature and emitting a dark sharpness when I smell my arm up close. Incense Flash continues on this path until its final moments when all that is left is a wisp of dry woodiness. Incense Flash had good longevity, while both the projection and sillage were initially moderate before turning soft. Using 2 large smears equal to roughly 2 good sprays from a bottle, Incense Flash opened with 3 inches of projection and about 5 to 6 inches of scent trail. The fragrance felt very soft in weight and body, but was strong in scent up close, probably because my skin amplifies any fragrance with aromachemicals (and the Tauerade signature base typically includes a few). The projection dropped to about 2 inches after only 30 minutes, then to about 1 inch above the skin after 2.5 hours, and to roughly 0.5 inches after 3.75 hours. The sillage was very discreet. However, Incense Flash only became a proper skin scent after 7 hours, though it was still easy to detect up close when I brought my nose to my arm. All in all, it lasted a little over 12.5 hours. With the equivalent of 1 spray, Incense Flash actually had the same opening projection and sillage numbers, but it became a skin scent after 5.5 hours and the longevity was just a hair over 10 hours. As always, I have to emphasize that my skin holds onto and also projects fragrances with strong aromachemicals for much longer than most. On Fragrantica, the early votes for Longevity are split between “Moderate” (3-6 hours) and “Long Lasting” (7-12 hours) at this time. Incense Flash opens dirty and smoky to my nose, not pleasant at first sniff . But, like all Tauers, you have to wait to see what develops. The fragrance warms up and in the first half hour it literally smells ‘hot’ like incense and wood on a little brazier in someone’s home. I like the scent at this point. It’s still deep, dark, spicy and smoky, but it smells purifying now, no longer dirty. I find myself drawn to it more and more. It’s like carrying a smoking censer in a religious service. In the midphase heavy leather comes into the mix. It’s too dry and leathery for me at this point. It’s like the blessing and censing of the cavalry before battle with lots of leather boots, bridles and saddles in the mix. In the dry down the leather softens a bit and I smell myrrh and ambergris. I am not a huge myrrh fan, it’s too dry and often bitter for me. All in all a very good, well balanced strong incense and leather scent. If you like bitter, smoky and leathery this is for you. Well done but too much myrrh and leather for me to wear until it becomes a skin scent after a few hours. Black leather dominates the heart of the perfume, so much so that I forget this is supposed to be called Incense Flash, not Leather Flash. The base is where I detect a prominent note of Boswellia (frankincense), reminding us that the Arabian desert is an ancient land with ancient traditions and rituals of worship. The leather begins to take on a subtle creaminess that is really nice. I like the top and the drydown best. I think that lovers of L’Air du Desert Marocain who also love leather are going to swoon over this release. I think the main point to take away is that while L’Air du Desert Marocain dries down into sweet amber and woods, Incense Flash dries down into leather and bitter frankincense. To me Incense Flash feels more like a gooey, wet and resinous incense at first. It’s almost too loud and messy in the opening, but once it dries down a bit the wood, smoke and nuances of the incense comes out. 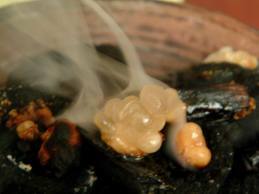 I get a lot of natural smelling frankincense and smoke in the heart which almost reminds me of Unum’s Lavs. It’s not as complex or liturgical, but it’s darker and raw. The details of all these reviews may differ, but one thing is common to them all: Incense Flash is not one of those liturgical, churchy fragrances. This is a scent that I think has far more in common with L’Air du Desert Marocain combined with the dry, outdoorsy campfire smoke and leathery woods of Naomi Goodsir‘s Bois d’Ascece than with the High Church/Sunday Mass stylings of CDG‘s Avignon or UNUM’s Lavs. What most of these reviews should also make clear is that the smoky leather is going to be a noticeable factor on your skin, as well as the dusty dryness. While my experience was obviously more woody, piney, and resinous in focus than the two Fragrantica accounts, the leather did surge in strength in the middle phase on my skin, too. You better like it raw, musky, tarry, and a bit sooty in nature. If you struggle with dry woody-amber or smoky aromachemicals, I don’t know if you will enjoy Incense Flash. For what it’s worth, I’m notoriously sensitive to such things, and I liked it the fragrance quite a bit, at least at a higher dosage that brought out the ambergris’ caramel undertones, the opoponax’s nutty and sweet sides, and the pine sap. I also really loved the evocative nature of Incense Flash, its desert ramblings, the baked earthiness, the crushed pine needles, and the absence of soapiness in the incense. That said, the aromachemicals were still too noticeable for me personally to buy the scent for myself, but I thoroughly enjoyed where it took me, as well as the scent from afar. I really recommend trying Incense Flash if you are looking for a woody, leathery, musky, campfire and desert twist on incense, so long as you don’t have a huge sensitivity to aromachemicals. Plus, it is very reasonably priced at $63 for 30 ml. In general, the Tauerville fragrances are only sold in American stores and in Switzerland, but several Tauer retailers ship worldwide. They also sell samples so you can test it for yourself. All in all, I think it’s nicely done, and it will be a popular scent with those who love LDDM and leathery campfire smoke fragrances like Bois d’Ascece. 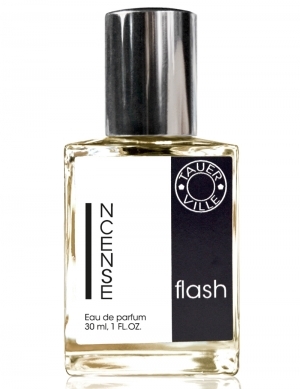 Cost & Availability: Incense Flash is an eau de parfum that comes in a 30 ml/1 oz bottle for $63 or Swiss CHF 60. The earlier Tauerville scents were also sold in a 10 ml roll-on for $31 or Swiss CHF 30. That no longer seems to be the case. American retailers offer the 10 ml roller-ball only as a limited-time gift with purchase. The 10 ml option is not listed on the Tauerville website either. In the U.S.: Incense Flash is available at Twisted Lily, Luckyscent, Parfum1, and Olfactif. The first three sites sell samples and also ship worldwide. Outside the U.S.: If you are in Switzerland, you can buy directly from Tauerville. Its Shipping section states the company only sends to the US or Switzerland, but the actual Incense Flash page lists the U.K. as well. The FAQ page states that samples are not available. The regular Tauer site does not sell Tauerville fragrances. For the rest of Europe, the NL’s ParfuMaria sells Incense Flash, and ships throughout Europe. Samples: Almost all the American sites listed above sell samples at either $3 or $4 a vial. On Surrender to Chance, however, Incense Flash starts at $6.29 for a 1 ml vial. This entry was posted in Perfume Review, Smoky or Incense Fragrances, Tauer or Tauerville Perfumes, Woody Fragrances and tagged Andy Tauer, Andy Tauer Incense Flash, Andy Tauer incense fragrance, Incense Flash fragrance review, Tauerville, Tauerville Incense Flash, Tauerville Incense Flash review by Kafkaesque. Bookmark the permalink. Great review! I’m intrigued but unsure of this one. You will have to try it and let me know what you think, Megan. BTW, I looked on your site to see if you carried this one, since I know you did the Vanilla Flash. I didn’t see it, or I would have included it in the retail links. Wonderful review as always. 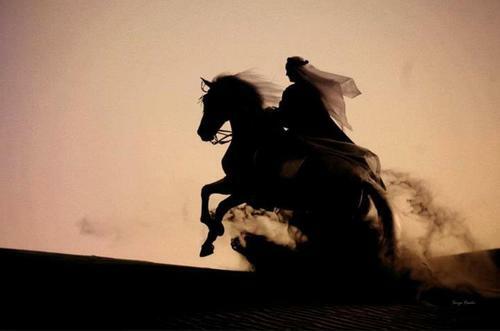 I love your cavalry picture and the horseman in the desert! I can still smell Incense Flash on my skin this morning and it smells warm and spicy after 18 hours on my skin. A nice surprise. Wow, nice longevity, Ricky! I’m glad you’re enjoying the drydown, since you seemed iffy on other stages of the scent. When I read the cavalry and leather part of your comment, I could just imagine you wrinkling up your nose with a faint grimace. LOL. I’m thrilled to see you review Incense Flash because I’ve been fighting with myself over whether to blind-buy a bottle (if there had been a rollerball, the deed would have already been done). 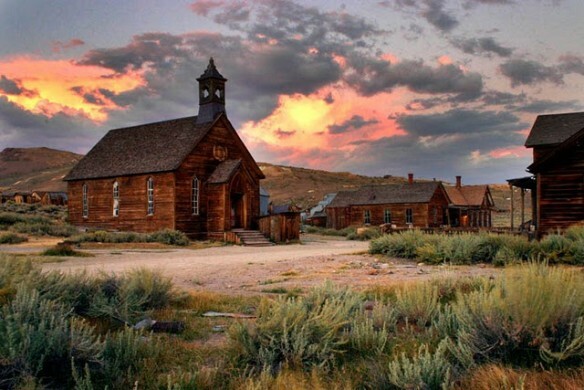 It sounds incredibly evocative, and as I’ve been spending some time out West recently, the setting it seems to reference is extremely appealing to me. Though I love and own a few of his scents, I always need that reminder that other times, I have issues with Tauer’s aromachemicals. So this goes to the top of my to-sample list… and I think I’ll throw in LDDM while I’m at it. It’s wonderfully evocative, Eleebelle! That hasn’t been the case for me with a number of recent things I’ve tried lately, so it was such a welcome relief to try a fragrance and be transported so vividly. You’ll note that both Fragrantica reviewers found it conjured up strong images for them, too. Nevertheless, given how you struggle with some of the Tauers and the aromachemicals in the base, I do think it’s wise to sample/test this one first. I hope it works out for you, and the LDDM as well! I did a blind buy, thinking that this was going to be similar to LDDM or an Avignon, both of which I really really like. No where near the latter and although close to the former, not nearly as good, in my opinion. I found the opening to be really unpleasant, which surprised me, and I thought seriously of swapping it for something else. Not exactly a scrubber, but not awesome either. Someone suggested layering it with something else. perhaps a mild vanilla. I did that and oh my goodness. I couldn’t stop huffing my arm. I am a huge fan of incense and myrrh in its various permutations, as you know, but I’m guessing that my interest leans heavily to the High Church interpretations, the very aspects you don’t like. At any rate, I’m not going to swap it and I shall continue to play with it to see what it can do. Maybe I’ll even get to like the opening….. Your review was spot on and as always, a delight. 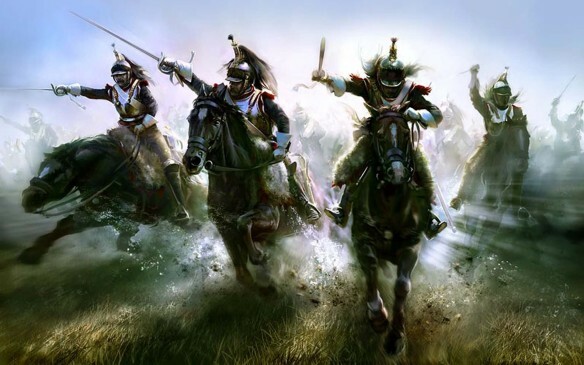 How fares the great Teuton? I knew you’d be disappointed that it wasn’t a purely liturgical, spiritual, High Church rendition, Ellen. I had thought of you while testing it, and couldn’t see you enjoying the leather aspects very much. 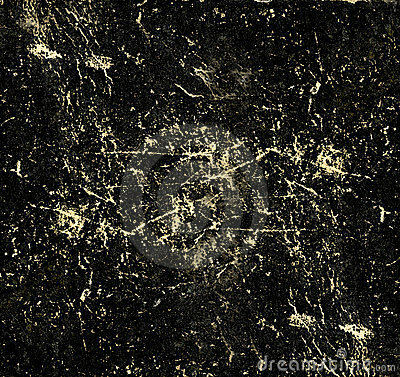 (Nor aromachemical and creosote-like elements, either.) That said, I think vanilla is a great way to temper some of the parts you don’t enjoy. The richer, the better. Iris might be another solution, as it would definitely soften, tame, clean, and feminize the leather. Thank you for so kindly asking about The Great Teuton. He’s had some difficult gastro-intestinal issues lately, as we’re slowly getting him off the steroids. I shudder to think what will happen when they cease altogether because — while they are definitely not a good thing or something I want him on, if I can help it — the steroids seem to be the *only* thing keeping the negative side-effects of his main/major pill in check. We’ll see what happens in 3-4 weeks when the step-down weaning process for the steroids is over completely. I’m not looking forward to what I suspect will happen then, so wish me luck. I actually think there are parts of this one that might intrigue or pleasantly surprise you, Don. I don’t know if you would love all of it, or enough to consider a full bottle, but I think some parts of it would definitely appeal to you. You should try a sample. Amazing review as always! By the way…for Europe Tauerville is also at ParfuMaria available. Thanks for the review. We will add the link to our Facebookpage. I have updated the review to include this information given the extremely limited nature of this fragrance elsewhere, but commenting solely for the purpose for businesses advertising and promotion is generally not done. Blogs generally do not permit promotional and marketing comments, and I have politely asked you a few times not to do so. In this case, I understand the fragrance is not available elsewhere in Europe, but you could have emailed me and let me know. As a general rule, there is no guarantee that I will include every shop that carries a fragrance I review. My listings are a courtesy for readers, and are not meant to be an all-inclusive advertising and marketing section for businesses. Thanks. A very helpful review. I’m wearing Incense Flash today, and the creosote quality was so powerful right off the bat that I almost scrubbed. Like a railroad tie burning. For me, it’s toning down, and I’m getting more pleasing notes. But… think this one isn’t for me. Welcome to the blog, LittleEngine. I completely understand your reaction and sympathize. The creosote and aromachemicals that Andy Tauer loves to use in his bases are frequently very difficult for me as well. In this case, how much Incense Flash did you apply? I found a larger quantity helped to bring out the ameliorating and counterbalancing elements. Perhaps you can double the dosage on one patch of skin on the other arm and see if that helps? On the other hand, you may well be in my boat and simply be one of those people who has a sensitivity to large quantities of strong aromachemicals. My a long time since I’ve put a post up here. I tried my sample of Incense Flash the other day and my initial reaction was the vial was mistakenly labeled. This was much more leather than I expected. After some time after it and I calmed down, all I could think was Incense Extreme meets Lonestar Cowboy. It’s good, but not great for me. It’s interesting that Mr. Tauer feels the secondary brand allows him to be more playful. I thought his primary label very playful indeed. While I don’t always like his fragrances, I really do appreciate his artistry. His lines are always something to look forward to.